Merchant takes on the entirety of Western Culture in her effort to consider how we think about Nature. This tour de force has opened my own reading of other texts, including advertising, in a new way. 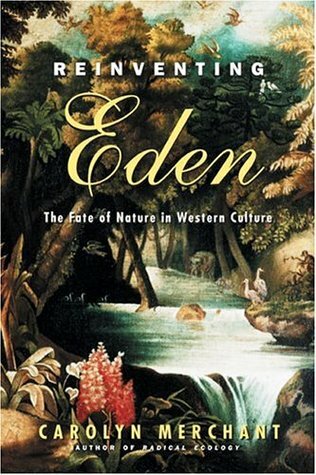 Merchant argues that nature, particularly within the New World, can be perceived as a metaphor for both the Garden of Eden and Eve herself from the Christian creation story while Europeans and American settlers can be viewed as Adam tending to the land. She uses various historical examples to showcase how people have connected nature and women over the years, especially through the use of the terms "virgin," "vixen," and "mother."